I suppose I could offer an analogy of how sick I still am by saying that any of the ingredients below resembles something that has come out of my sinuses in the past week, but I won't. Except that I just did. It's not entirely true, and my crankiness about still being sick should have no bearing on your enjoyment of this dish... because, quite honestly, it was pretty tasty. Unlike the stuff that's coming out of my.... okay, I really will stop now. Any recipe that affords me a trip to the Asian market to buy ingredients I wouldn't ordinarily cook with is always welcome. So, knowing Whole Foods and Safeway wouldn't carry sheets of dried fish, I hopped in the car, tottled around the beltway, and headed on up Georgia Avenue to the H Mart in Wheaton, only to find that their stock of dried sardine sheets had been recalled earlier in the week and they didn't know when they'd be back in stock. So, I perused my other options, discovered there was really only one other choice, and decided that I'd just go ahead and use sheets of dried ice fish instead. Not exactly the same flavor, but would offer the same functionality, right? But before we get to that part of the dish, let's start off with what I knew I couldn't screw up -- tomatoes and arugula. It's at this point that I think I owe anyone who knew me in 1984 a huge apology. Why? Well, I had the good fortune (and trusting parents) to travel to England the summer in between 10th and 11th grade as part of one of those let's-do-10-countries-in-two-weeks-and-also-sing-songs-about-America-as-part-of-a-pseudo-Up-With-People-only-not-as-dorky-and-certainly-no-jazz-hands-chorus-and-band-tour-shut-up-I-can-hear-you-laughing-at-me. Most of our meals were prearranged by the tour leaders and we ate in group settings, but when we had some free time, my new friends and I would spend as little as we had to on food so there was more money for clothing (which, sadly, in 1984 meant buying an oversized Frankie Say Relax t-shirt, green neon hoop earrings, and red jelly shoes). One afternoon in London, on one of our final days abroad, I remember going into a sandwich shop (after having spent hours in my new favorite store Miss Selfridge) and getting a really cheap egg salad sandwich with arugula... only in England, arugula is called "rocket." Armed with a desire to be British, I dropped "rocket" into more conversations than was probably necessary or appropriate, and when I got back to "the States" (see how fake British I still am? ), I continued my annoying monologue about rocket, and how good it was, and how I wish I just had some rocket for this sandwich, and what do you mean you've never heard of rocket, oh maybe that's because here in the States it's called something else, so let me now tell you nine hundred other things that somehow involve me saying the word "rocket." So, if you knew me in 1984, I apologize... not just for talking about rocket all the damn time, but also for my unfortunate hairstyle and gross misunderstanding of makeup technique. Thanks for not punching me in the neck. I probably deserved it. The next thing I did was prepare the niçoise olive cream. Really easy. First, I took my 300g of niçoise olive brine (which the lovely girls at the cheese counter at Whole Foods poured and weighed for me and REFUSED TO LET ME PAY FOR IT, I LOVE THEM) and added the Ultra-Tex 3 (which sort of sounds like a condom brand or a herpes medicine, but I assure you, it's neither, although I now have Barry White's voice in my head enouraging me to use the Ultra-Tex 3, GREAT). I whirred it in the blender for about a minute, during which time I also whipped my whipping cream in my Kitchen Aid mixer, bringing it to medium-stiff peaks. ... and put it in a pastry bag until I was ready to pipe it into the little sardine, nay, ice fish crisp cups I was about to make. What's that little graphic on the bottom of the package? Does it mean only middle-aged, mustachioed post-grads with three diplomas can use this product? So, essentially, this is a sheet of dried ice fish. Wanna see the little guys up close? It only took about 30 seconds for this to turn golden and stop bubbling. I was thrilled that this was so easy that I did a second one right away, which also was so easy, that when I got to the third one, I was stumped and annoyed. Same for the fourth, fifth, sixth, seventh, and eight ones. Why? They stayed wrapped around the spoon handle in the pot, but when they were done cooking, I couldn't get them off no matter how gently or hard I tried. It was so strange. The first two were easy-peasy and slid off beautifully without any problem. The rest just cracked apart when I touched them or had to be scraped off with a paring knife. SO ANNOYING. And, after working with all eight of them, and all eight of them just having come out of 375-degree oil, my finger pads were toast. Seriously, I should've robbed a bank or something because I think my fingerprints disappeared for a good 48 hours. So, I got the second sheet of fish out of the refrigerator and cut it into little cracker-like pieces, fried each one for a few seconds to crisp it up, and figured I'd just improvise in the presentation. Look at that olive cream trying to make a run for it. "Get me out of here! I'm mortified to be associated with this whackjob!! Aaauuuuggghhhh, there's rocket on top of us!!!!" Completely defeated and simply wanting to get it overwith and see what the damn things tasted like, I blorped some olive cream, arugula, and tomato strips onto my ghetto fish triscuits (with all apologies to the fine Nabisco corporation) and said Ta-DAAA!!!!!! You already know how I feel about the look of these, so let's move on and talk about how they tasted. I will say that they weren't sardine-y or salty enough for me, but I was expecting that. Eaten as one bite, they were really pretty good, and we all liked them. The adults enjoyed them more than the kids did, but there was no gagging or spitting or fake vomiting on their part, so I count that as a plus. I didn't like olives until about ten years ago, and while I still don't really always love them on their own, I do love the way the olive flavor integrates with other flavors in a dish. And, the textures in this bite worked well together, too. I'd certainly do this dish again, only I'd probably do it differently because now that I have my fingertips back, I kinda wanna keep 'em. So, maybe some sort of toast or homemade flatbread spread with sun-dried tomato compound butter topped with a sardine-and-olive tapenade. Or, I'd somehow find a way to do an olive-tomato-arugula-sardine relish over a piece of pan-seared fish. So, while maybe not Miss America on a plate, it definitely earned the Miss Congeniality title, because at the core of it, it's good. Really good. Resources: Dried ice fish sheet, sun-dried tomatoes, and canola oil from H Mart; arugula and olive brine from Whole Foods; Organic Valley heavy cream; Ultra-Tex 3 from Terra Spice/Alinea. Music to Cook By: The Pilmsouls; Assorted. I'm not sure how or why the song "Million Miles Away" got stuck in my head last week, but it did, which led me to not only download some of their music, but also to watch Valley Girl. I really love these guys for nostalgic reasons, and they don't sound all that dated when you listen to them now. Or maybe I'm just in denial about this not being the 80s anymore. I dunno. I've been spending waaayyy too much time catching up with old high school friends on Facebook, I've probably forgotten what year it is. Love this! Have been thinking of getting the book & trying at home, as well, but I am kind of scared. Not sure I have the patience &/or skills! ;) Beautiful! We have something in common, because something just came out of my nose, too. Except for me, that's because I just read the term "ghetto fish triscuits"
Man, did those jelly shoes make my feet sweat. I am unfamiliar with ice fish, and not sure if I want to be personally introduced. But their little eyes are cute. Thanks for always making me laugh, even when you're sick! Oh yeah - I was also in London in 1984, and totally remember the Frankie Says Relax t shirts - and Miss Selfridges. LOVED that store! Awesome post, Carol. So funny, and they look delicious - so don't worry about your ghetto fish triscuits. Sign me up. You know, I have a similar problem as you had whenever I make blinis. The first 4 or 5 come out fantastic, and my pan is at a steady temperature, but I'll be damned if the rest of the little pancakes don't end up darker and undercooked than the first few I make. I end up turning off the pan, and firing it back up and starting again. Takes me forever to make 24 of those little bastards all look the same. Those ice fish actually look pretty creepy to me, I'm sure it taste different after deep fry. Beautiful presentation! "Ghetto fish triscuits" is one of the funniest things I've ever read. Can I make a suggestion that maybe it wasn't the oil you were cooking those creepy dried flatfish in that created the problems, but the end of the wooden spoon thing you were using? Maybe *it* became too hot, or too oily, or too.. something? Keeping in mind that my cookery skills are approximately 1/257th of yours. Not only did they make my feet sweat, but the jelly shoes would eventually crack and subsequently cut my feet. Then I'd sweet talk Mom into another pair. Rinse and repeat. Looking forward to the cranberry. I love cranberries! I love reading your blog but I kinda feel sorry for poor Grant Achatz's cookbook getting such a bad rap. It seems like you have had to substitute an ingredient or two for most of the recipes that you have tried. Substituting ingredients can very well make the difference between it being keeper or a reject. And yet, how do you sell a cookbook to the general public when most people won't be able to obtain the darn ingredients necessary to make the dish as written?? Julie, I have to respectfully disagree. Keep in mind, I'm doing some of these dishes out of season, so I don't expect the ingredients to be available. And, the average home cook (me) doesn't always have ready or affordable access to every ingredient one of the world's best chefs has access to. For me, cooking from this book is about pushing me waayyyy out of my comfort zone, and also forcing me to find ways to work on the fly in case something doesn't go the way I want it to whether during the sourcing or the cooking. I think you'll find in almost every one of Chef Achatz's interviews about this cookbook he'll say that it's not about cooking everything verbatim, but using it as inspiration and drawing on your own creativity. haha that professor in the corner.. is a doctor? i think.. holding fish.. The literal translation of that korean line is.. calcium and king anchovies (ice fish.. i guess) combined is the fish doctor. OHHH hahah okay, i read the finer print.. apparently this fish is approved by a ... fish "doctor" or specialist..
Love the ghetto fish triscuits! And, did you hear that Michael Bloomberg was bitten by a groundhog yesterday? And, now I have to go watch Valley Girl (for the 300th time)! Like, I have no idea what Ultra-Tex 3 is aside from what it is not (an olive-flavored condom favored in Crete). Drago: You're right. I do need to do a better job of that. Sometimes I just get so caught up in the process, I just assume everyone knows what I'm talking about. Sorry 'bout that. Ultra-Tex 3 is a flavorless thickener derived from tapioca that allows a liquid to be thickened without having to use heat. Great post! "Ghetto Fish Triscuits" gave me one of those semi-stifled laughs that you do so your cubicle neighbors don't peek around your 'wall' to see what was so funny, which you then have to explain because you can tell be the look in their eyes that they don't understand and they're wishing the 'wall' was a little thicker. And, since you mentioned the 80's and rocket together, all I can hear now is Herbie Hancock doing "Rockit". Totally rad. I think there needs to be a rap song titled "ghetto fish triscuits." And I'm sorry to be all junior high and everything, but the ice fish look like illustrations of sperm. Those are delightful. And Rocket is delicious! The Plimsouls were an awesome band & Peter Case's solo career was (and continues to be) worthy of praise. He was doing the whole folk/blues/Americana thing way before it became mainstream. If you decide to fy up sheets of baby fish again, maybe a metal handle would work better. One of the other commenters mentioned that maybe the wooden handle was the culprit. After a few dips in the hot oil, the wood might start to get all hot and gluey with fish protein. Carol, you've done it again - I have to wipe the coffee off my screen because of "ghetto fish triscuits." Hysterical. The ice fish look like the whitefish/whitebait in New Zealand. They're in an omelet/fritter and served on buttered white bread. Personally, the eyes just skeeeeve me out. Try a metal handle for frying. The wood expands and does collect "stuff" and gets sticky. As always, your blog is the highlight of my week! Speaking of interviews of Grant Achatz about his book. 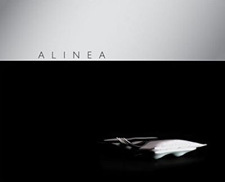 Congrats on the shout-out posted on the one at Amazon.com (on the Alinea cookbook product page)! Sorry if this is old news but I just saw it and I think that's awesome. actually, if you really wanted to be obnoxiously british, you would not refer to it as "the states" but as "the colonies" and to your fellow americans as "you colonists". i actually got called a colonist on more than one occasion when i was visiting friends in england! I don't know HOW you do it but wow ... I think those "ghetto fish triscuits" look amazing! I think I liked that presentation better than the round ones that came out "right". But that fish paper stuff looks NASTY. Yuck! Just a thought on why the later batches of fried fish stuck to your spoon handle. The wood in the spoon contains some moisture, so perhaps the wooden spoon created a little layer of steam between the spoon and your fish which allowed it not to shrink to the size of the spoon handle. After the second time, there wasn't much water left in the wooden spoon anymore (ever stick a wooden spoon into oil? it bubbles...) and the fish shrunk around the spoon and you couldn't get it off. Just my theory! I haven't even finished reading his entry yet I'm wondering if you still have that Frankie t-shirt. From a woman who is resisting requesting Holly Johnson be an Facebook friend because that would be... weird, right? - d.
Okay, I am now going to have nightmares about the dried ice fish reconstituting and swimming around in my stomach, getting into my bloodstream and going to my brain. They are the scariest looking dried food product I've come across. Nightmares, I tell you! And ghetto fish triscuits definitely made me snort. Now, I don't know what's funnier- the ghetto fish triscuits or drago's Ultra-tex- condoms! I used to live in Japan and they eat these fish all the time. Often a teacher I worked with would ask me what we call it in English and I'd always answer, "bait." so above where it says ice fish, it says "king of calcium." koreans love adding calcium or saying foods are calcium-rich to get a sale. plus we're asian--we get osteoporosis, so i guess it's a valid concern. apparently, the fictional professor is the king of calcium, and he became a ph.d. in anchovies along with the anchovies themselves. so he's a calcium AND fish expert. i guess the fish he's holding are his anchovy colleagues. that's the only "sense" i can make of an otherwise very confusing phrase. coming out of lurking to do this pseudo translation. LOVE the blog and your humor. especially the 12-year old stuff.